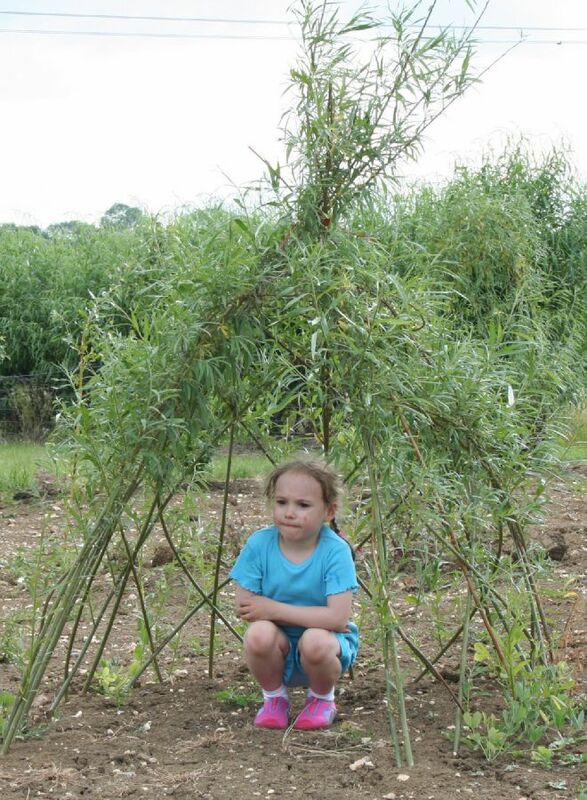 Instructions are set out below to show how easy it is to make a simple living willow wigwam. 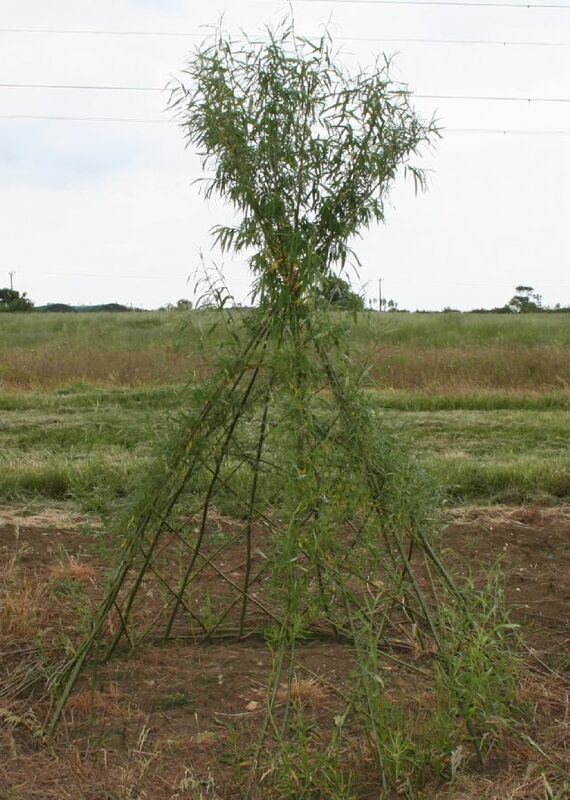 Please visit our Living Willow Kit Prices page for full details and see our FAQ’s page for further information and advice. 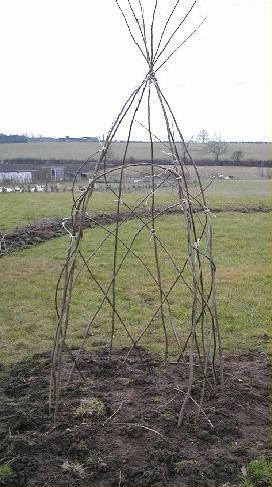 Decide how wide you want the base of the wigwam to be and ‘draw’ a circle on the ground. 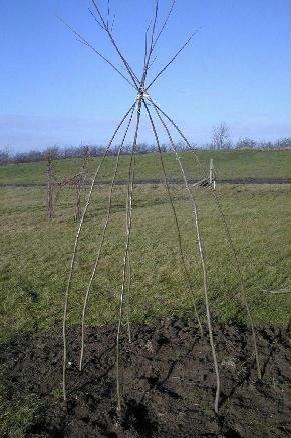 entrance) and then push them into the ground (about 6 to 9 inches is sufficient for them to root – go deeper if you wish). Tie them together towards the top. 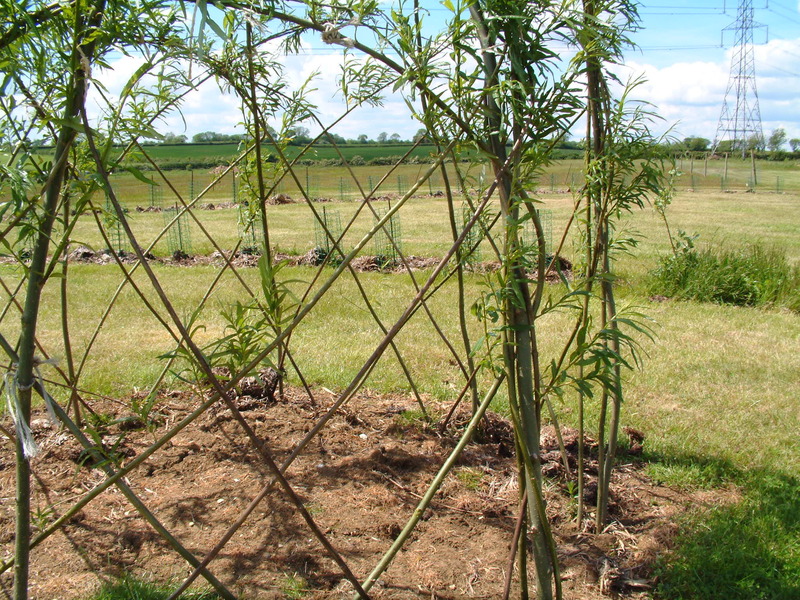 Use slightly shorter whips to add 2 diagonals per gap – except at the entrance – planted diagonally to encourage denser side growth. 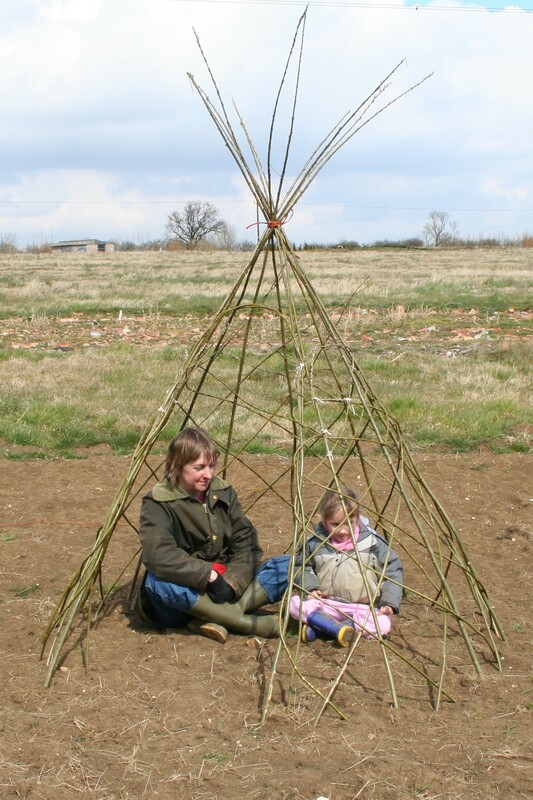 Ideally weave the diagonal whips ‘in front of one vertical and behind the next’ as this makes the structure more rigid – although tying the whips together may help while you are working, especially towards the tips. Where the diagonals go across the entrance simply bend them around the vertical whip a weave them back into the criss-cross pattern. 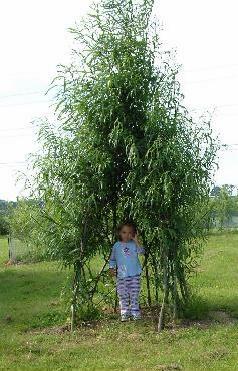 These photographs show the same living willow wigwam – as just planted and a couple of years later in full summer growth. 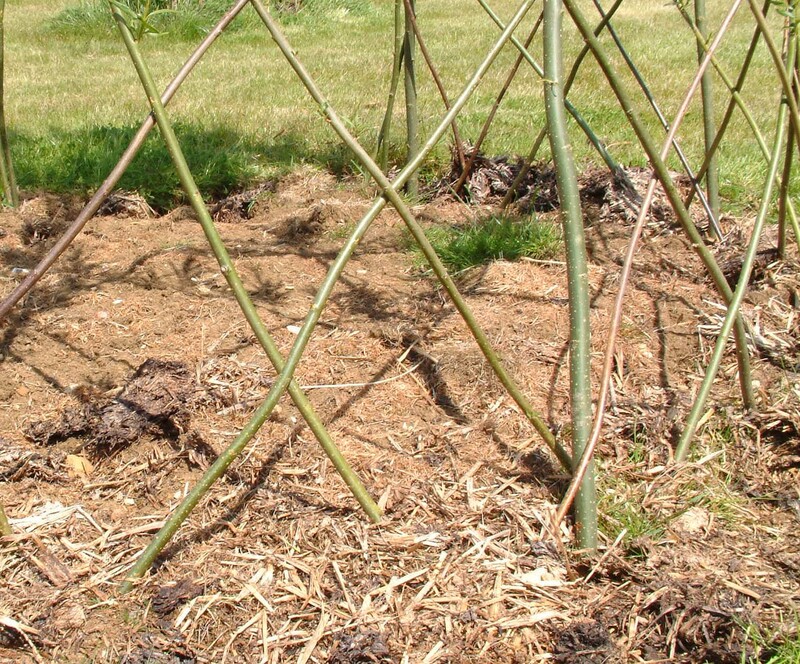 The new growth can be woven into the structure, cut off as it grows, or left for a shaggier wilder appearance, if you prefer, and not trimmed until winter. 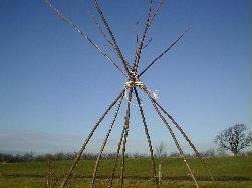 need or you can buy one of our wigwam kits which follow the above approach. 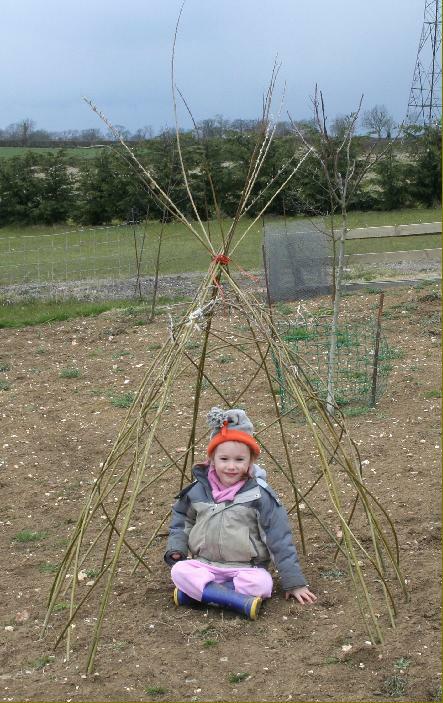 Standard Wigwam Kits – just after planting and then in early June with new growth.